The Flexi-Slide™ Bin increases your refrigerator's storage customization and convenience. By be being able to quickly move the bin side-to-side, you can easily create space for necessary items whenever you may need to. 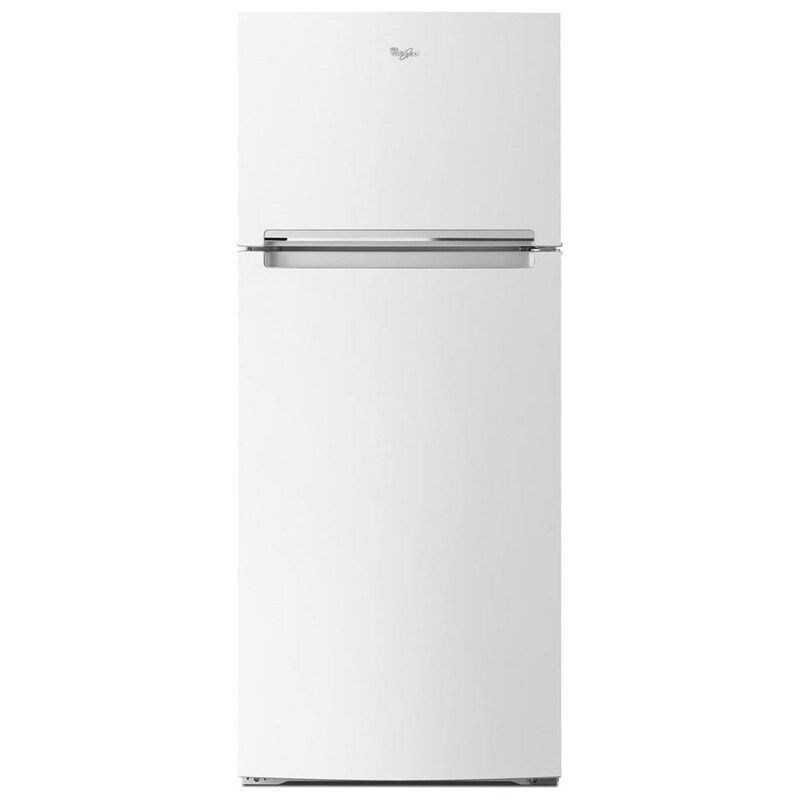 The Top Mount Refrigerators 28-inch Wide Whirlpool® Refrigerator Compatible With The EZ Connect Icemaker Kit – 18 Cu. Ft. by Whirlpool at Furniture Fair - North Carolina in the Jacksonville, Greenville, Goldsboro, New Bern, Rocky Mount, Wilmington NC area. Product availability may vary. Contact us for the most current availability on this product. The Top Mount Refrigerators collection is a great option if you are looking for Appliances in the Jacksonville, Greenville, Goldsboro, New Bern, Rocky Mount, Wilmington NC area. Browse other items in the Top Mount Refrigerators collection from Furniture Fair - North Carolina in the Jacksonville, Greenville, Goldsboro, New Bern, Rocky Mount, Wilmington NC area.